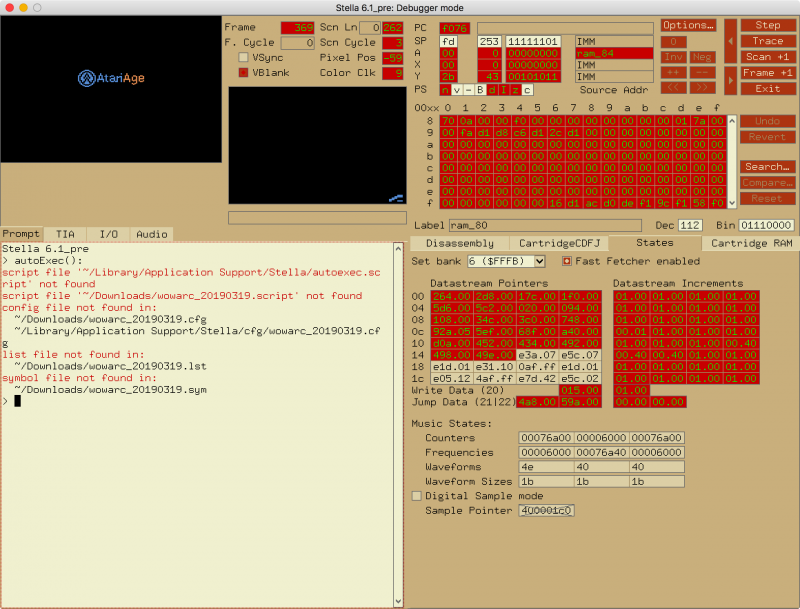 General Stella question: I don't really understand how exactly "keymap" stores the key mapping. How does Stella parse it? I did a clean install of my Mac Pro back in November. Haven't attempted to build Stella until now when we were working on CDFJ, a new variant of CDF which adds a second Jump Data Stream for WoW (freed up ~450 bytes for John by simplifying some things). I added -v to Other Linker Flags but still see the same ambiguous error w/out any invocation info. The warning can be ignored for now; I haven't gotten to it yet. 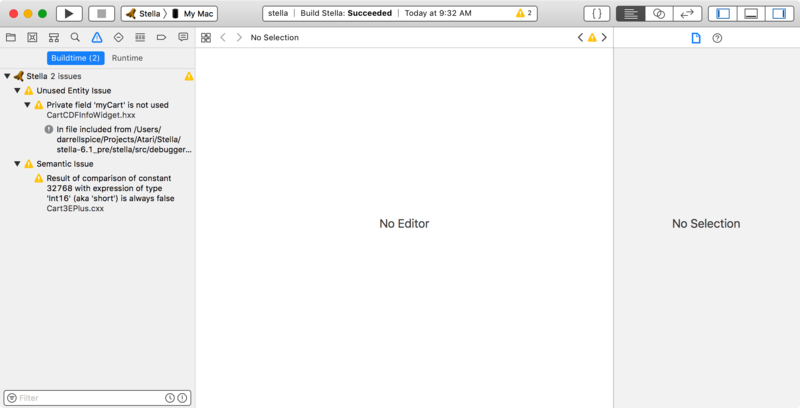 There was a commit a little while ago that added a missing file to the Xcode project. Maybe you need to check out again to get the latest update?? My Windows/OSX development machine has been down for about 2 weeks, so I haven't been able to look into these issues. I just deleted the folder and fetched it again. It builds now with a new warning, so something's changed since yesterday afternoon. Just looked at github and DirtyHairy made the fix to the XCode project about 18 hours ago (so around 4:30). 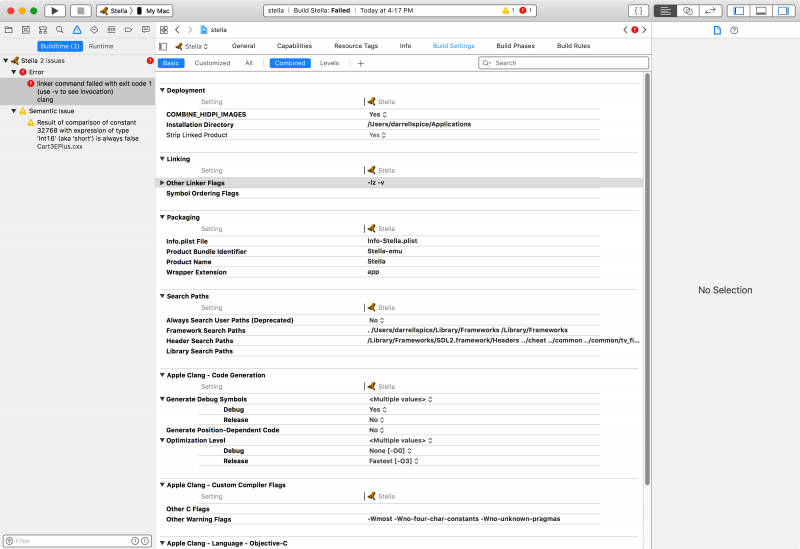 Looking at the Debugger I suspect it's for the new States tab which contains fields split off from the CartridgeXXX tab.